story of a modern business seen from the angle of career development and management. 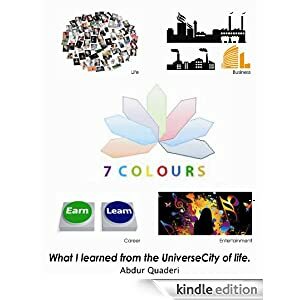 NOTE: This e-book was published previously in our website 7colours.biz that was available in the internet between early 2010 and mid 2013. This website is previously not being hosted for business reasons. SHAH AMANAT INTERNATIONAL AIRPORT, CHITTAGONG. AUTHOR: BROMORA. ORIGINALLY POSTED TO FLICKR. WIKIMEDIA COMMONS. Imtiaz Rahman, Age 48, CEO of Rupsha Group, a conglomerate headquartered in Chittagong. Chittagong is the 2nd largest city and the main port city in Bangladesh. The two top level executives of Magenta Corporation are waiting in the coffee lounge, drinking soft drinks and looking outside through the large glass windows. Three planes can be seen through the crystal clear glass, one of which belongs to Biman Bangladesh Airlines. This one is soon to depart, to fly to Kolkata, a mega city in the eastern side of India. IR So what do you think about the factory? IR From which angle? Management or technical? IR No, no, I am not being formal, just being practical. Seriously, Shaheen, I expect you to deal with me professionally, I want some serious comments and feedback from you. SA OK, OK, Imtiaz Bhai, I understand what you mean. But I am not in a professional mood now. I am…kind of……..in a holiday mood ….. call it ‘Darjeeling mood’ if you like! IR Are you following Bangladesh cricket? IR I always find time for cricket, call me a cricket addict if you like. IR Highlights from which angle? SA Tell Me About Sohel Barkat????? What’s the latest news about him? IR That means you are completely out of touch! SA (Smiling) Yes I am. I have been too busy recently. Why, was it T20? SA Who was the highest scorer? SA I am hearing this name quite a lot these days …. SA David Jones is doing a good job here, right? SA Oh yeah? How did David Jones discover this guy Nasim? IR Unbelievable story. When David Jones first came to Bangladesh, he came with the Australian cricket team, but on his own, with his own money I mean, just to see Bangladesh. He came basically as a tourist, to watch the ODI series over here. During his visit he went to Cox’s Bazar to see the world’s longest sea beach. Aussies will go and find a beach anywhere they travel to … (smiling)…. So he went to Cox’s Bazar and took a ride by a rickshaw. Just an ordinary foreigner, just a typical international traveller, wearing a T shirt, a pair of shorts and sunglasses…. As he was passing he heard an unusual noise and then saw a big crowd beside the road. So he asked the rickshaw puller what was going on. The rickshaw puller understood what he meant, smiled enthusiastically and just replied in English, the one word ‘CRICKET’. It was a semi- final match between 2 local teams. David Jones stopped travelling just to watch the cricket. TRULY A CRICKET LOVER… !!! SA And then? And what happened then? SA What happened… tell me …..
SA (slightly impatient this time) And what happened next? IR This is luck, this is really a story of luck. (He looked at Shaheen Ahmed) True story, David Jones watched the first ball, Nasim hit a 4, the second ball, he hit another 4, third and fourth balls, two consecutive 6s, eventually he was out for 66…. David Jones forgot about the world's longest sea beach; he kept watching and thinking …. IR Can you guess what happened then? IR Long story cut short. At age 17 Nasim Ashraf goes to New Zealand with the Bangladesh Under 19 team and hits a century on debut …. the rest is story that everyone else knows. Now he is probably the wealthiest teenager in Bangladesh …. SA Very interesting! So this is LUCK, hmm? Being at the right place just at the right time? The interior of Shah Amanat International Airport is shown using a number of cameras from various angles, mostly from the top. Later on, one camera shows many passengers proceeding. This shot is taken from a height and at approximately 45 degree angle. The centre of the screen is occupied by the two Magenta executives, walking gently and smartly. From a distance, they look like ordinary people, no one can guess their net worth. But 10 seconds later, in the next shot, when a low-height mobile camera rolls forward to show their expensive shoes, some rich people inside the movie theatre will begin to guess the price of these products ..... one pair is of shiny black colour with thick shoe lace, the other one is made of heavy leather, of dark chocolate colour, shiny and stylish in appearance. Which pair of shoe belongs to whom, there is absolutely no clue, you will only have to guess! 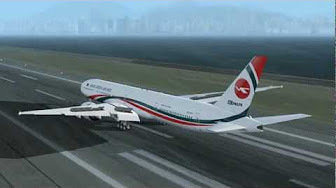 Image 2: A Bangladesh Biman jet aircraft landing at one of the busies airports in Asia. Credit to rahman2cool. Source: YouTube. The movie camera rotates for approximately 30 seconds to show all the attractiveness and glamour that the place has. This indoor location reflects a large lounge room, which has been organised and decorated carefully for the meeting that is to take place tonight. There are 4 large round tables for the top level executives of Magenta. The participants have all assembled here, they will be introduced gradually (later on, as the netmovie progresses). One of the cameras is used to take a shot from a top corner of the room. On one side of the large hall room there are 3 people talking, all confident, very smart looking and wearing suits. It looks like all three of them are Westerners. They are having drinks as they are talking. On one corner of the lounge room are two men and two ladies. The men are Zahid Kamal and Imtiaz Rahman. The ladies are two of three female participants, i.e. Sylvia Rivers and Deepti Narayan. Sylvia is here just because she is the PA to Mr. Zahid Kamal and Deepti is here because she is the event manager. They are not top level executives as such. Today Deepti is wearing a navy blue silk saree with expensive silver bangles in both hands. She knows she is beautiful, looks very different than other ladies and also that everyone present is observing her very carefully. The only top level female executive within Magenta is Natalie Powell, Marketing Director for Australia and New Zealand. She is also responsible for the Pacific Islands, Papua New Guinea and Indonesia. A tall and smart lady, she is wearing a cream coloured dress with pearl jewelry appropriate for a formal occasion. Natalie seems to be enjoying her time all by herself - looking outside through the large glass door and slowly drinking a cup of coffee. The camera captures her movements from various angles for over 20 seconds. She enjoys thinking and being alone, an artistic type of person who thoroughly understands the mechanics of business development. Shaheen Ahmed is seen on one corner, near the bar area, talking to two men, one with a moustache and beard. Judging him by his dress alone, it is quite clear that this executive is somewhere from the Middle East region. This man is Abu Sufyan Al-Sabee, Director of Operations, Africa and Middle East region. Mr. Al-Sabee (as he is popularly known) is originally from Saudi Arabia, now based in Amman, capital of Jordan. The other person is Ben Landis, a good friend of Zahid Kamal, now retired and appointed as a Management Consultant to Magenta Corporation. He does not talk much, looks like he talks only to very senior people such as Zahid Kamal. He is a highly knowledgeable person, a very good listener and a keen observer. Tonight his main job is to carefully observe Shaheen Ahmed, as Magenta’s future will seriously depend upon this young man. He knows that Zahid Kamal will ask him a lot of important questions regarding his (valuable) opinion of Shaheen Ahmed. Ben has worked mostly in Germany and France, then finished the last 4 years of his employment with a Fortune 500 company in Chicago, Illinois, USA. His parents are from Ireland, but he was born in the United States. Initially he had decided to retire, but Zahid Kamal influenced him to continue working as a Consultant. He works his own hours and travels to various countries following his own schedule. He is very much a part of the Magenta team and the only person who does not have any job description whatsoever. He formulates and changes his own plans, and travels anywhere he wants. He meets Magenta executives at any level. This idea was given to him by Zahid Kamal. Ben Landis is 64 years old. He maintains close communication with Zahid Kamal. He sends detailed reports about selected people employed at Magenta. His work is all about human resource. The camera shows Ben Landis from the front and then from the side as he is talking to Shaheen Ahmed and Mr. Al Sabee. At the moment he is the centre of attention. His intelligent eyes are dark brown in colour, which are shown repeatedly in close up shots. Zahid Kamal is wearing a gray colour suit with a red tie. He is now seen on the dais, where a microphone is fixed. He picks up the wireless microphone and presses the ‘talk’ button. Shaheen Ahmed and Imtiaz Rahman are sitting in a modern sofa close to him, almost parallel but slightly behind the dais. Both of them are sitting in a relaxed fashion. ZK – Ladies and gentlemen, thank you for being here in Darjeeling at such a short notice. I am sure you are all enjoying your travel to this small hilly town, one of the world’s famous tourist spots. The main objective of our gathering here is to introduce to you two new members of our Executive Team. Both men are Bangladeshis. Firstly, let me introduce to you Mr Shaheen Ahmed, our new CEO (he looks directly at SA; SA stands up, quickly looks at everyone, nods his head and raises his right hand). And secondly, Imtiaz Rahman, Country Director for Bangladesh (ZK now looks at IR; IR gently moves his right hand as he makes eye contact with the audience). Ideally, we could have had this gathering at Cox’s Bazar, a famous tourist destination within Bangladesh. I chose Darjeeling for 2 reasons, firstly, it was already one of my chosen holiday destinations. [He produces a meaningful smile]. I am actually enjoying my holiday……today is the tenth day…. Also, for your information, I just finished a short one night stay in Cox’s Bazar. Many international tourists have not heard about this place [silence] but they will soon discover Cox’s Bazar and I can assure you that pretty soon, this naturally beautiful small town will become extremely busy. Now, back to our discussion about Bangladesh. Bangladesh is known as a garments exporting country. By the way, garments means clothing…… Actually it is the 2nd largest garments exporting country in the world. Did you all know this fact? Image: Cox's Bazar, Bangladesh. World's longest sea beach. Description: The beautiful view of Cox's Bazar, Bangladesh. Author: dr.minz hotmail.com. Wikimedia Commons. ZK – Good! Now let me tell you about other products that Bangladesh exports. These are jute, shoes, leather goods, pharmaceutical products, ceramics .... handicrafts, etc. But in the context of Magenta Corporation there is one other product - actually, it is the most important factor of production that I need to bring to everyone's attention. This is something I know and I know quite well .... [he looks at Shaheen Ahmed and Imtiaz Rahman] and I am sure these gentlemen also know [ PAUSE ] can anyone from amongst you tell me what it is? The camera focuses on the audience and gently moves from left to right. Everyone is looking at each other but no one is intending to speak. There is a silence and ZK intentionally allows the quietness to continue for a while. ZK – It is talent. HR, human resource. I am not sure if you know this - there is a significant cost advantage by utilising HR in large quantities in Bangladesh. As a place to do business, Bangladesh has abundant HR of a good quality. Let's look at entry level - a large number of university graduates are always available, just waiting to be employed. We will not only employ them, we will give them the kind of work that they are supposed to do, the type of tasks and projects that they will enjoy completing. We will place them not only within Bangladesh, but in Magenta offices worldwide. In the Bangladesh market we will have a unique positioning that will allow us to get a competitive edge in the area of HR utilisation. And, for a fast growing international business like ours, this is a huge opportunity! And it's not only the entry level, Bangladesh has abundant quantities of HR at every level. Close to 160 million people living within an area of just about 57 thousand square miles .... how much attractive is such a market ... for any type of business !! ? [PAUSE] And, number three, and the most important point, I am not retiring. I will be with you, as usual, it's just that there is an additional team member, a very strong team member, I hope, and let me also tell you this ..... our new driver is the highest paid CEO in Asia .... how's that? The camera now shows every face in close up shots and presently there is no mixed reaction. Everyone seems to be feeling comfortable, smiling and clapping, looking at each other to get some extra assurance. The name 'Rupsha Group' is associated with the river Rupsha (as shown above). This river flows by the side of Khulna, the 3rd largest city in Bangladesh. IR - Mr. Chairman, ladies and gentlemen. I will briefly tell you about myself and Rupsha Group. I hold a Master degree in Economics from University of Dhaka. After completing my university education, I joined our family business as a Trainee Manager and worked for 6 years. Again, during 2004, I attended London Business School and completed my MBA the following year. Rupsha Group is a large conglomerate, which fully owns 6 private companies in Bangladesh. All 6 are very large companies. The first business enterprise, Rupsha Traders was established by my grandfather in 1956. In the beginning, it was only a jute export business. There were many ups and downs, however, gradually the company kept expanding. When my grandfather passed away, my father and my 2 uncles managed the business. My father was the Chairman until 2009. Now one of my cousins is the Chairman and I am the Managing Director. Presently there are 16 directors, 12 of them are attached with all 6 companies of the group. The other 4 are outsiders. I mean, not family members. These people are investors, from time to time they have invested large amounts of money in our family business. Actually, we haven’t called it a family business since the last 10 or 12 years…. Mr.Zahid Kamal is a friend of one of my uncles. I knew him since my childhood. He used to visit Bangladesh once in a while, just to meet his parents, some friends and family members. Whenever he spoke to me, he told me that Bangladesh was a great place to do business. Not too long ago, our country was seen as overpopulated, but Mr Kamal repeatedly assured everyone that the country’s large population was actually a resource more than anything ….. a comment that made everyone look at each other and think …. and today we know he was right! Initially Mr Kamal invested a small amount of money and got involved with Rupsha Group. He spent a lot of time interacting with people at all levels of the organisation. He carefully observed how things evolved in Bangladesh, especially the way how people worked here. He had formal meetings with our top level management and was quite impressed. Every time he was in Dhaka, our Executive Directors and General Managers traveled to Dhaka just to have interactions with him. Rupsha Group’s head office is in Chittagong, the second largest city and major port city in Bangladesh. 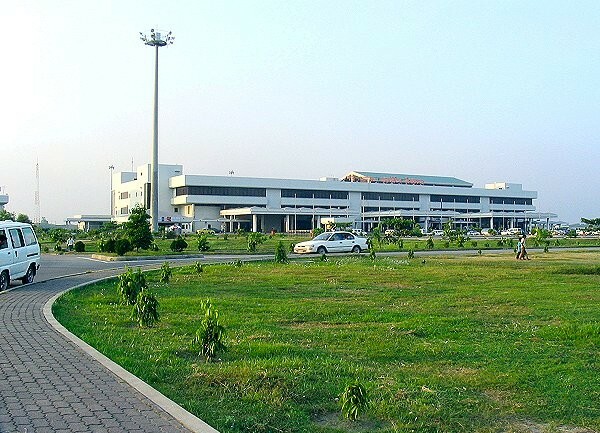 Chittagong has a very busy sea port and also the country’s 2nd largest airport. 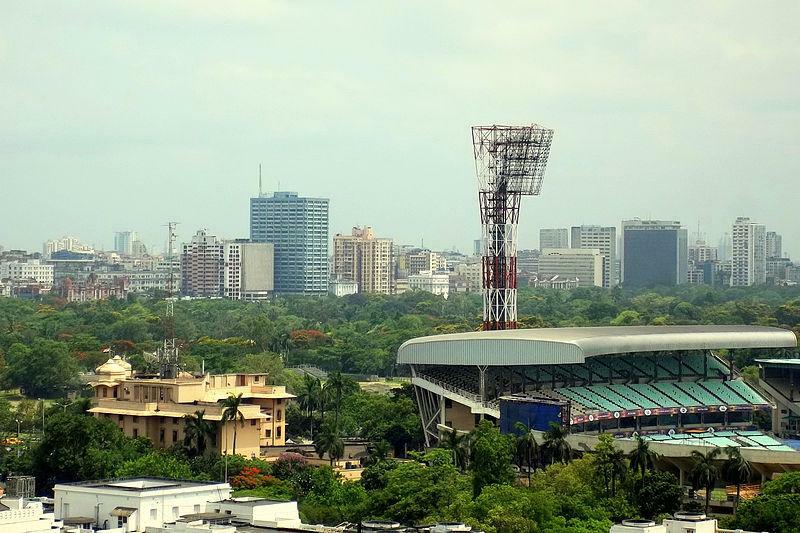 The capital is Dhaka, one of the world’s top 10 megacities (by population). IR - As I understand, the purpose of our gathering is basically to meet each other and also enjoy a holiday at Darjeeling. So I don’t want to give you too many figures and statistics right now. Just so that you can have an idea of the size of Rupsha Group, last years our total sales was over US$ 770 million. We have more 9,000 full-time permanent staff. There are also over 7,000 part-time and casual employees. Running a business in Bangladesh is not easy, however we have done well mainly because of the quality of our managers. This was actually the main reason why Mr. Zahid Kamal, our Chairman, noticed us. He also noticed Mr.Shaheen Ahmed, our new CEO, although Mr.Shaheen was not employed at Rupsha Group. It was me who introduced Mr. Zahid Kamal to Mr. Shaheen Ahmed slightly over 4 years ago. All these years Mr. Kamal has been quietly observing and assessing Mr. Shaheen Ahmed. By the way, I have known Mr. Shaheen for a very long time - since our university days. He was 2 years my junior at university. His subject was International Relations, (PAUSE) mine was Economics (at that time). I will not tell much about him now. It will be far more interesting if he introduces himself in his own unique style. SR - Thank you Mr. Imtiaz Rahman. We enjoyed listening to your informative speech. And then she looks at Shaheen Ahmed, who is sitting right beside Mr Zahid Kamal ..... she smiles ... I would like to now request our new CEO Mr Shaheen Ahmed to make his first formal speech to the key members of Magenta Corporation …. SA - Honourable Chairman, members of the executive team and other managers .... it is my pleasure to meet you all here, in Darjeeling. In a way I don’t know you as today is the first day I am meeting you face to face. Again, in another way, I know you all as I have read your profiles from Magenta Group’s HR Department records and also by researching the internet. Some of you can be found in LinkedIn, some in Google+, some in Facebook and some in Twitter. Other than these, there are other social media. ....... [there is approximately 30 seconds of silence as SA observes everyone very carefully] Camera number 4 shows every face in the audience. No one is surprised in any way. It appears that everyone there understands the importance of social media in today's Human Resource Management. SA - I have recently had detailed discussions with Mr Zahid Kamal. I have joined Magenta Group less than a week ago, 5 days to be exact. Prior to our recent interaction, we met few times here and there, but those were only brief conversations. [He smiles]. I wasn’t aware that I was under his close observation and assessment [again he smiles]. Mr Zahid Kamal told me that he took about 4 years time to observe me and assess my skills, attributes and personality – that shows the depth of his business acumen, wisdom and managerial expertise. I am very pleased to be here and in this new role. SA - Recently, the news of Magenta Corporation acquiring Rupsha Group has occupied the news headlines in the Bangladeshi media. People in the business circles are talking to me with keen interest. Journalists in Bangladesh have been interviewing me continuously for the last 3 days. Now I am overseas and therefore, I cannot be physically reached in Bangladesh, so I will be able to enjoy some quiet time … Oh yes, I needed a holiday !! You probably already know, I will be accompanying Mr Zahid Kamal on a long business trip. From here we go to Mumbai, then to Dubai and onwards to London. From there we will go to Atlanta and spend a lot of time in Los Angeles. Then? Rio de Janiero, of course. The rest is still undecided. What will happen? Lot of meetings. Meetings and meetings, training sessions and coaching sessions..... That is business life at the executive level!!! A life of travel and lots of interactions!!!! SA - Mr Zahid Kamal told me that most of Magenta Group's future activities and projects will be centred around Bangladesh. The reason why Brazil was chosen as a main destination was coffee business, upon which Magenta Group was built. In the future, it will be garments, footwear, pharmaceuticals and handicrafts business, products that are produced in huge quantities in Bangladesh .... and ... oh yes, definitely, these products are highly affordable! In the present world, Bangladesh is enjoying a focus, being one of the most attractive economies within the emerging market segment. The reason why I am here is because of my knowledge of local conditions [or should I say deep knowledge of local conditions?] Again, any manager in the top level in Bangladesh also has to have thorough understanding of international aspects, as Bangladesh is a small country with too many international links and influences. The country's export market is quite significant. Also, I must say that although the population of Bangladesh is 160 million (as commonly indicated), Bangladeshi citizens living outside the country constitute another 10 million.... almost !!!!! These people are known as NRBs (Non-Resident Bangladeshis). Mr Zahid Kamal is one of them, just as an example !!! AN AERIAL VIEW OF THE NORTH SIDE OF DHAKA AT NIGHT.